1. There are two separate crises unfolding in the Dominican Republic. Hundreds of thousands of Dominicans of Haitian descent have been stripped of their citizenship and made stateless by their own government; and hundreds of thousands of Haitian migrants may face mass deportations following the end of a registration process for undocumented immigrants. The government has tried to mix the two populations to create confusion and spin this as a migration problem that many countries face. 2. Both crises amount to a civil genocide that has deep roots in the island’s history. The government of the Dominican Republic is currently carrying out an orchestrated campaign to rid the country of its population of Haitian descent, including both Haitian migrants who have lived in the country for decades and their Dominican-born children and grandchildren. It has legalized and bureaucratized anti-Haitian and anti-black practices and discourses that have been pushed by Dominican politicians and elites for more than a century. In 1937, Dominican dictator Rafael Trujillo tried to physically eliminate Haitians and Dominicans of Haitian descent through a bloody massacre that led to the deaths of thousands of people in a matter of days. Today, the country’s leaders are using immigration laws and legal manipulation a to expel Haitian migrants and their Dominican-born descendants. 3. The Dominican government has used the law to turn hundreds of thousands of its own citizens into foreigners. Since 2007, the Dominican government has implemented a policy to deny nationality documents to the Dominican-born children of undocumented immigrants, the vast majority from Haiti. It changed its Constitution in 2010 to eliminate birthright citizenship for the children of undocumented migrants. A Constitutional Court decision in 2013 applied this change retroactively, revoking the citizenship of hundreds of thousands of Dominicans of Haitian descent born in the country since 1929. In 2014, a law was passed that required the vast majority of Dominicans of Haitian descent to register as foreigners and apply for residency and eventually naturalized citizenship, even while acknowledging that they were born on Dominican soil. 4. The government’s plan to “naturalize” its own citizens was a failure. By the end of the registration period of the “naturalization” program, only about 8,000 Dominicans of Haitian descent, out of an estimated 200,000 people, were able to register, due to the government’s poor implementation of the program. Now, those who failed to register could face expulsion from their own country. 5. In 2013, the government announced a parallel process to “regularize” undocumented migrants, the parents and grandparents of the Dominicans of Haitian descent who had been stripped of their citizenship. The government established an 18-month period for the “regularization” process, during which deportations were supposed to be halted. But deportations continued throughout and the process was poorly implemented. 6. This process to “regularize” undocumented migrants was also a failure, due to the government’s poor implementation and inadequate resources. Out of more than 500,000 Haitian migrants believed to reside in the country, slightly more half (288,466) began the regularization process. Of those, about 4,600, less than 1.6%, completed the process, and will receive residency permits. 7. The government discriminated against Haitian immigrants during the registration process. Dominican media outlets reported that Haitian migrants were made to stand in line, many of them for several days, to go through the registration process, while undocumented migrants from other countries were allowed to skip the lines and begin registration immediately. 8. The government is planning mass deportations. The government has stated that it will patrol immigrant neighborhoods to identify undocumented foreigners, including Dominicans whose parents or grandparents are undocumented. They have acquired fleets of buses to deport people. 9. Deportations in the Dominican Republic have tended to be arbitrary, brutal, and based on racial profiling. Deportations by the Dominican military and immigration authorities are often based on little more than skin color and one’s name. Human rights activists report that the police and military routinely target dark-skinned people, and if they lack documents proving they are in the country legally, they are put on a bus and taken to the border. Just this year, this has happened to Dominicans of Haitian descent and to Haitian migrants who had begun the regularization process. 10. Tensions are high. 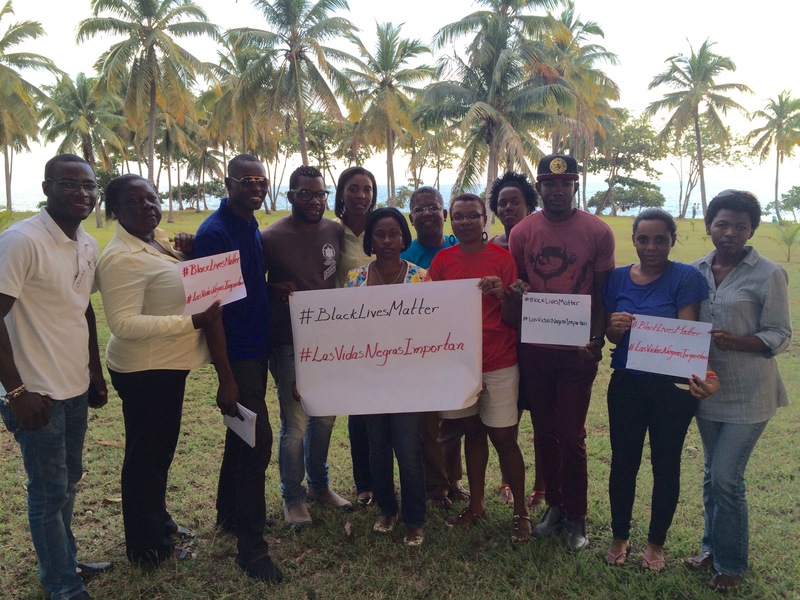 Haitians and Dominicans of Haitian descent are at risk of discrimination and violence. This year we have seen the brutal lynching of a Haitian migrant, threats against journalists and human rights activists, and a violent attack on a Haitian immigrant community in the city of Moca. Since the close of the registration period, Dominicans of Haitian descent and Haitian migrants have reported physical attacks and other forms of discrimination, such as being told they could not board public buses because they are Haitian. We need to show the Dominican government that the world is watching. Here’s how you can help. Sign and share a petition to the Dominican government, an open letter to Dominican President Danilo Medina, a petition to President Barack Obama, and to Caribbean leaders. Organize an event in your community to educate others. Use our toolkit to learn how. Support groups that organize Dominicans of Haitian descent and Haitian migrants: Reconocido, Centro Bonó, MOSCTHA, and MUDHA. Stay informed. Follow us on Twitter and on Facebook. Danilo Medina, no sea tan egoista e inhumano. Usted solamente piensa en usted, sus secuaces, en modificar la constitucion y en reelegirse. Mientras hay un caos a su alrededor en relacion con los haitianos usted ignora el problema. El mundo entero esta siendo testigo de lo que sucede en R. D. Y tarde o temprano le pasaran faltura.